Kennedy Library’s traveling exhibits have been developed to help share the unique cultural images and resources found in the library’s collections with broader communities. 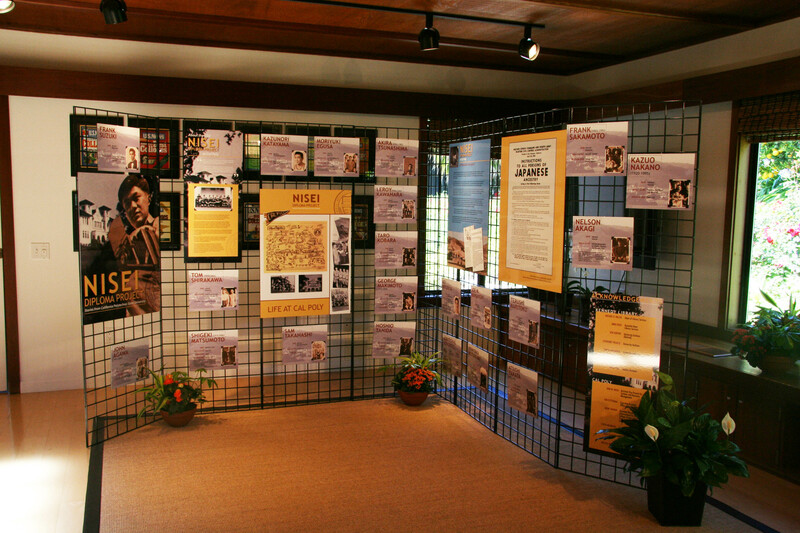 Traveling exhibits are available on topics that include regional history of San Luis Obispo, Cal Poly history, architecture and the built environment, and multicultural communities in California and the Central Coast. Browse the list below to learn more about the content our traveling exhibits. For more information or to discuss borrowing one of our traveling exhibits, please contact ude.yloplacnull@stibihxe-bil or 805-756-6395. Borrowing a traveling exhibit is easy. To ensure a successful hosting experience, Kennedy Library provides exhibit support including, installation and shipping instructions; sample press kits with digital imagery, and sample press releases. There is no cost to borrow an exhibit, only shipping and travel costs. Once a loan request has been received, a borrower’s agreement will be drawn between Kennedy Library and borrowers to sign. This is agreement is signed by both lender and borrower and shipping terms are coordinated. Demonstrate that there is sufficient space to display the exhibit (# square feet in borrower’s display area meet requirements) and that security is provided for the exhibit, e.g., exhibit is monitored when the institution is open. Allow the public to view the exhibit free of charge. Provide reports, including an exhibit condition report and an attendance report to Kennedy Library. Appoint one staff member as the local coordinator of the exhibit. The coordinator is responsible for overseeing the set-up and dismantling of the exhibit. Agree to use designated exhibit credits and/or logos on all publicity materials. Atelier Morgan is a traveling exhibit that highlights Julia Morgan’s personal archives, which belie one of the most persistent myths about her: that she destroyed the records of her nearly fifty-year practice when she retired in 1951. In fact, Morgan carefully preserved thousands of architectural plans, drawings, sketchbooks, photographs, correspondence, project files and other papers that tell the story of her life and career. 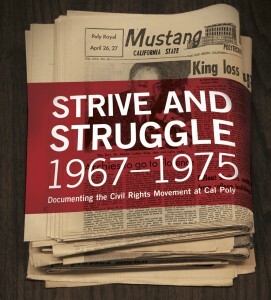 Her vast archive, which was given to California Polytechnic State University by her heirs in 1980, is held in the public trust in Kennedy Library’s Special Collections. It sheds light on a life of skill and style and illustrates her influence on California architecture and the built environment. You can borrow this exhibit and have visual representations of Morgan’s craft and design aesthetic in your own library or gallery. The exhibit features reproductions of Morgan’s student work at the École de Beaux-Arts in Paris, William Randolph Hearst commissions, civic work with YWCAs and residential commissions. Nisei Diploma Project: Stories from California Polytechnic State University is a traveling exhibit that highlights Cal Poly Japanese American students who were unable to complete their education due to their forced relocation and internment during World War II. 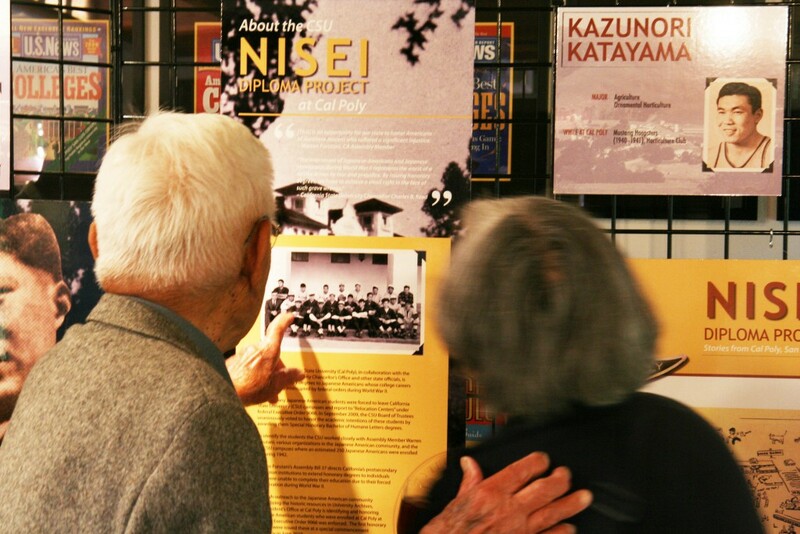 This exhibit focuses on the alumni forced to leave Cal Poly and report to “Relocation Centers” under federal Executive Order 9066. Inaugural installation at Cal Poly, San Luis Obispo. The exhibit consists of twenty-six panels on gator board for hanging. The entire exhibit requires approximately 120 linear feet of wall space for optimal display. 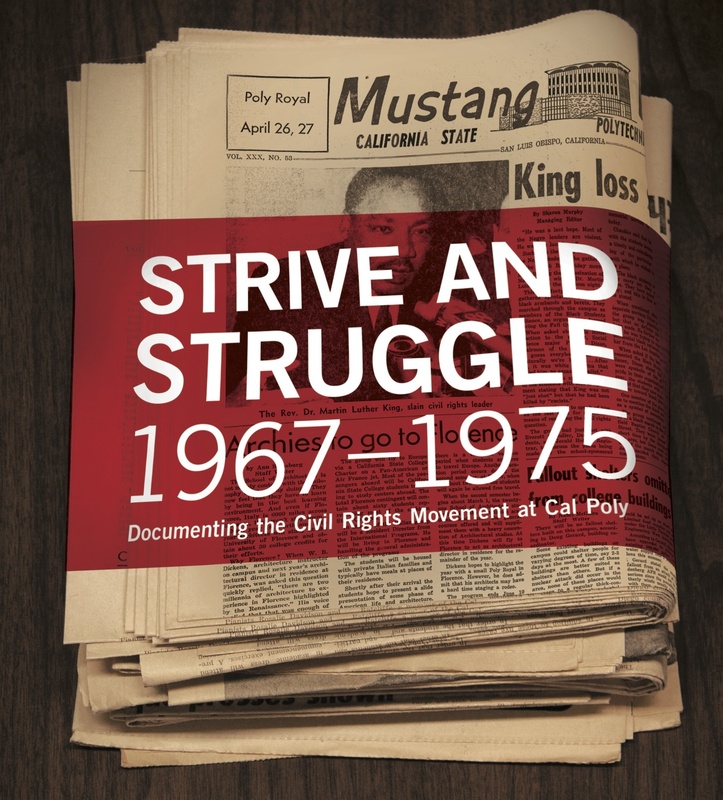 Strive and Struggle: Documenting the Civil Rights Movement at Cal Poly, 1967–1975 is a traveling exhibit that explores Cal Poly’s reactions, struggles, and triumphs during the Civil Rights years. 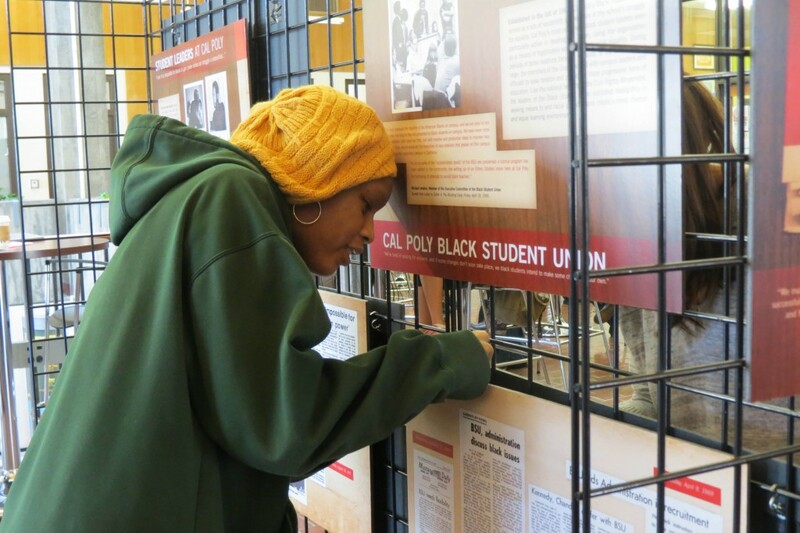 This exhibit also highlights Cal Poly’s efforts to establish Ethnic Studies courses, recruit black faculty, and combat racial prejudice in our community. Cross Cultural Center students assisting with the installation of the exhibit. The exhibit consists of nineteen panels on gator board for hanging. The entire exhibit requires approximately 175 linear feet of wall space for optimal display. ¡Viva la Causa! A Decade of Farm Labor Organizing on the Central Coast is a traveling exhibit, which showcases materials relating to migrant farm workers on the Central Coast of California, including oral histories, reports, correspondence, strike ephemera, and secondary sources. 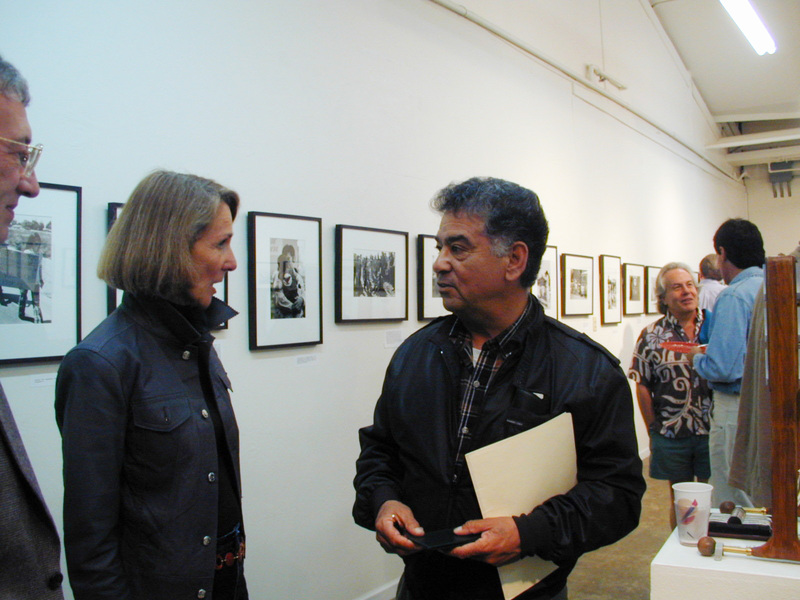 The exhibit also contains photographs taken by Manuel Echavarria documenting the United Farm Worker movement. The traveling exhibit content is comprised of photographs and interpretive panels. 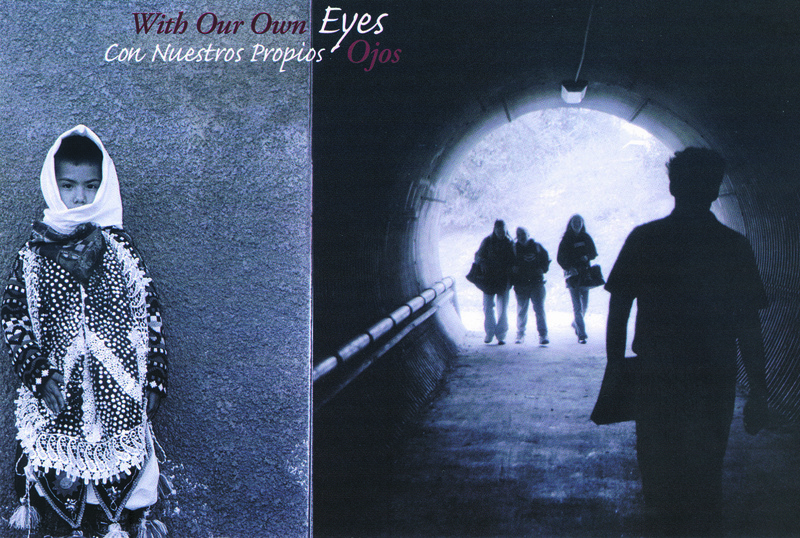 Photographer Manuel Echavarria at opening reception, 2001. 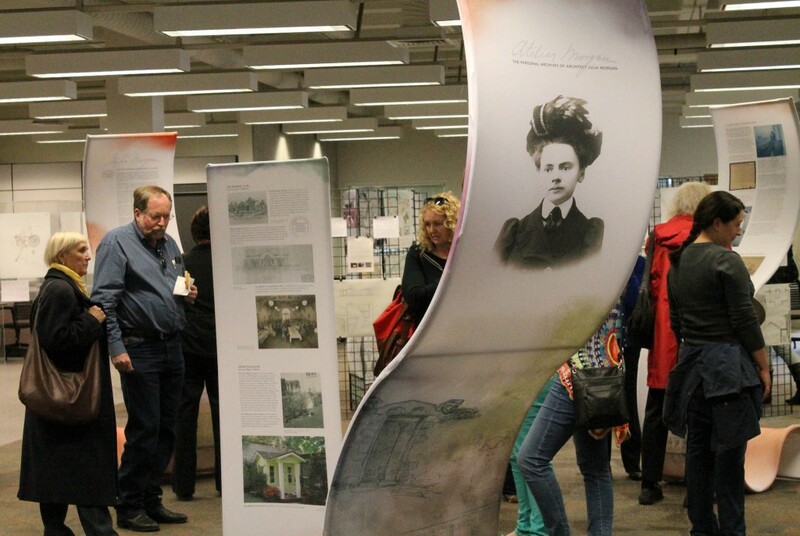 The exhibit consists of thirty-seven framed photographs and six interpretive panels. The entire exhibit requires approximately 200 linear feet of wall space for optimal display. 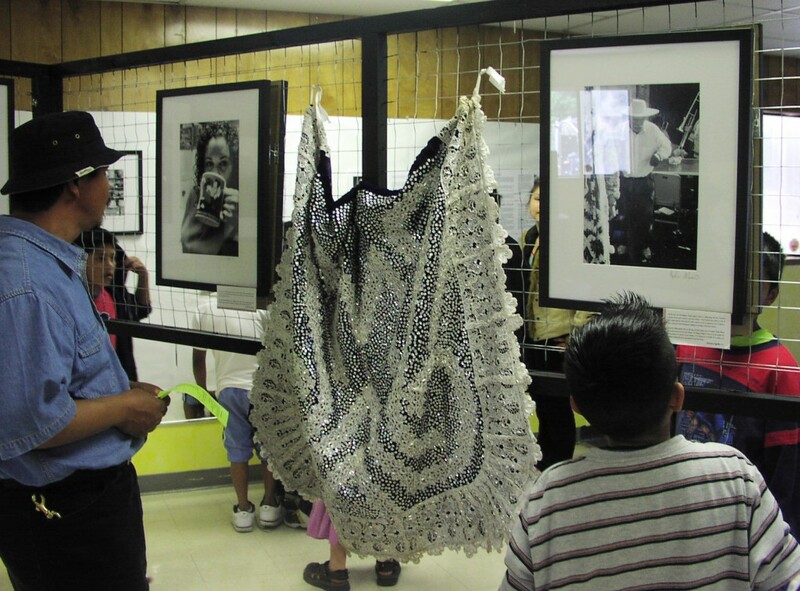 A youth led traveling photo documentary exhibit about the indigenous community of San Juan Nuevo Parangaricutiro, Michoacan residing in Paso Robles, California. The project gives the entire community a better insight about P’urepecha youth, a way to see youth from their own perspective and insight. The exhibit consists of two sections: forty-three photographic prints and six didactic panels. The entire exhibit requires approximately 200 linear feet of wall space for optimal display. 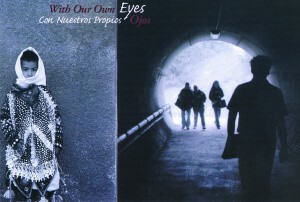 To see sample layouts, packing list and exhibit photos, refer to the With Our Own Eyes Loan List. Hooray, Monday! It's 1:44pm right now.